In the month of November 2012, Toyota Motorsports GmbH (TMG) announced that they will be showcasing one of their project works at the 2012 Essen Motor Show. 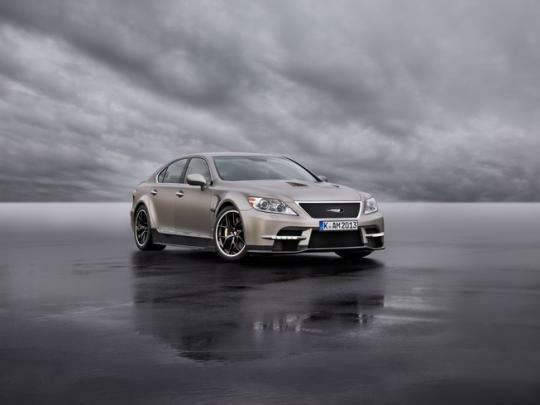 Nothing much was said about the car except that it will be based on a Lexus LS and will deliver over 600bhp. Several teaser images consisting of several carbon fibre parts and a BBS wheel fitted on the car soon followed afterwards. And now, Toyota Motorsports GmbH has finally revealed the completed car and it is officially known as the TMG Sports 650. 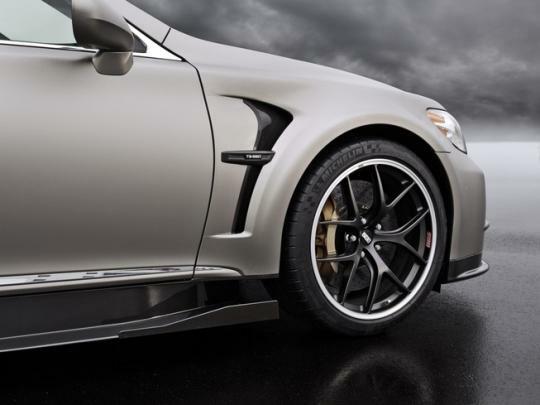 The TMG Sports 650 is fitted with many carbon fibre parts which include a rear spoiler lip, side skirts and a roof panel. The wheel arc has been flared to allow 20 inch BBS wheels to fit on all four corners. These BBS wheels are wrapped in a low profile Michelin tyre. 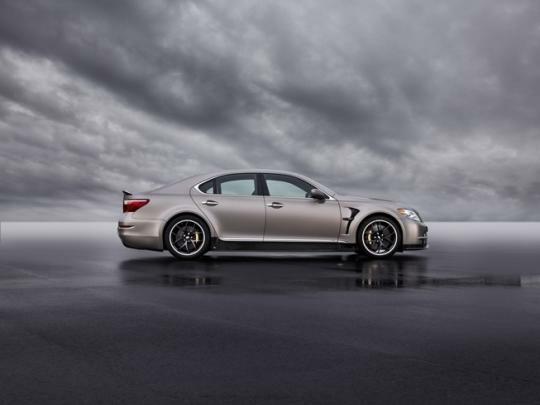 At the rear, four chromed exhaust tips are positioned in a peculiar but tasteful manner. One thing that is definitely missing from the car is the trademark spindle grille that is found on all new Lexus models. Probably, this is TMG�s way of saying that the Sports 650 is a one-off thing. Although interior pictures of the car were not released, it is said that the cabin has been decked in carbon fibre trim on top of a bucket seat and extra performance gauges. 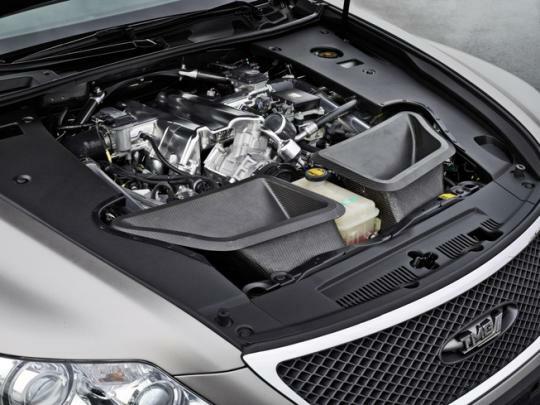 A 5.0-litre twin turbo V8 engine sits in the TMG Sports 650�s engine bay. 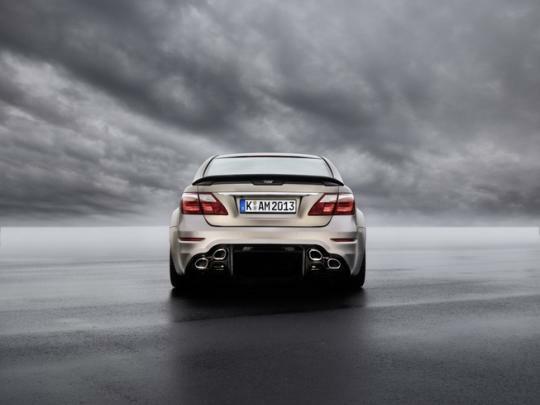 The engine makes around 641bhp (650ps), that is where the 650 name is derived from. The V8 engine is mated to an eight speed transmission which launches the car from 0-100km/h in 3.9 seconds and it has a top speed of 200mph. As mentioned earlier, the TMG Sports 650 will debut at the 2012 Essen Motor Show in December and it will be presented as a one-off prototype. But if there are much genuine interest from the public sector, Toyota might just add it into their model line-up.